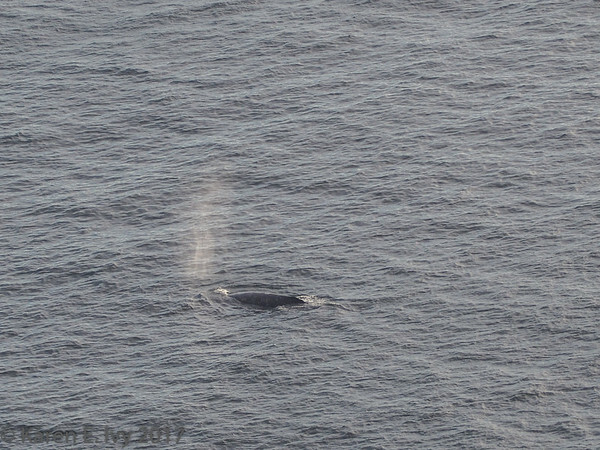 On December 29, Jim and I decided to drive over to Point Reyes Lighthouse and see if we could see any whales. It was a mild sunny day, the Friday before New Year’s, and he thought there might be a smaller crowd than on the actual weekend, when we’d have to park well away and ride a shuttle bus in. We drove over in the late morning and were stunned to find very light traffic – on Interstate 80, on 580 over the Richmond Bridge, and almost no traffic at all on Lucas Valley Road, which we took out to Highway 1. We planned to have lunch in Point Reyes Station. 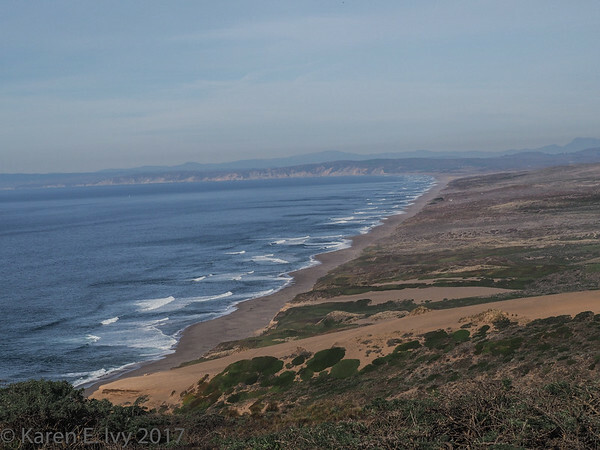 As we got to Highway 1, we saw the first serious traffic of the day – apparently everyone else was going to Point Reyes Station too. We parked and started to look for a restaurant, and were stopped by an older woman who was standing on the corner marveling at the crowds. “I’ve never seen so many people here,” she said. 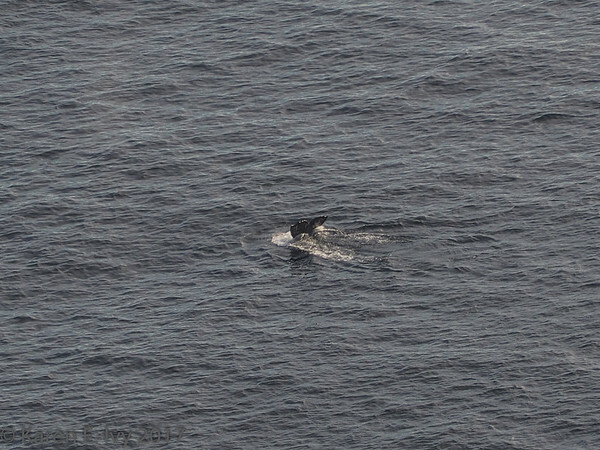 She then turned to us and asked, “What are you two doing here?” We laughed and said we were on our way to Point Reyes. She wasn’t hostile, merely amazed; we chatted briefly and she recommended a restaurant. Point Reyes Station is a very small town. After lunch we drove on out to Point Reyes. If you’ve never done it, it’s a long drive, through farm country – you do the entire trip on Sir Francis Drake Blvd West, turning off Highway 1. The directions on the park site say turn off Highway 1 onto Bear Valley Road, but that shortly becomes Sir Francis Drake West. At several points the road ran through the inhabited areas of local ranches; once we had to stop and wait until the cattle finished crossing the road. It’s very beautiful and very far from anywhere else. When we got there, we found we’d been wrong about the crowds; the official parking area is tiny, and it was full, and both sides of the road were lined with parked cars almost a half mile out from the formal parking area (which is next to the shuttle stop, which wouldn’t be in use until the next day). We found a parking place well over a quarter mile away. And once you get to the shuttle stop, it’s another .45 miles out to the lighthouse. We figure we walked about 2 miles that day, coming and going. I’ll give a sample of the photos I took here, the whole gallery is Pt. Reyes December 2017 on my SmugMug site. 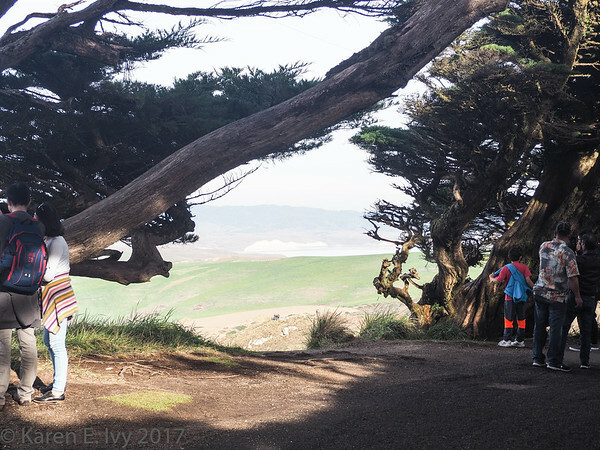 The views from the trail to the lighthouse are fabulous; I enjoyed the section through the huge old cypress trees, which was full of small children climbing the trees. I’m afraid I wimped out on the lighthouse itself. The visitors center is quite high up on the point, and the lighthouse is quite far down – 308 steps down an exposed staircase. Frankly, these days I have trouble climbing long staircases, so I took a photo from above. The web site says they close the stairs when wind speeds exceed 40 mph, which means they would be closed today (a gale warning is in effect). You can walk out to the lighthouse area at any time, of course, but the lighthouse buildings, visitor center, and stairs are only open Friday through Monday. The staircase had a lot of traffic while we were there. 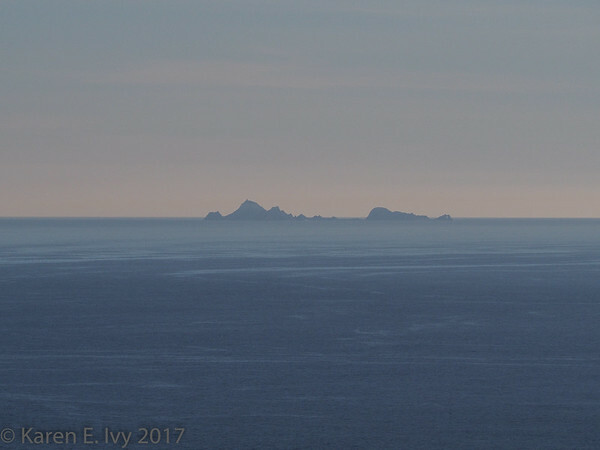 I was quite amazed to see the Farallon Islands – I’ve lived in the Bay Area my entire life, and I’ve only seen the larger islands once or twice. 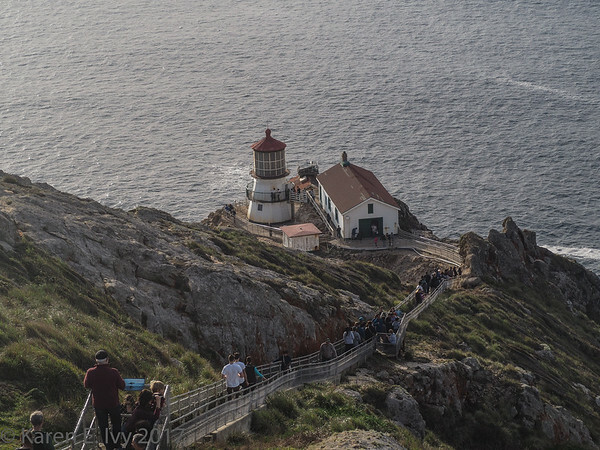 It helps that Point Reyes Headlands extend 10 miles out to sea (which is why it has a lighthouse! 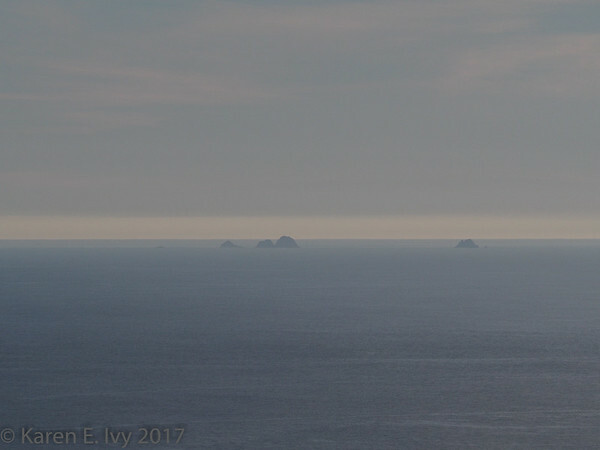 ), so we were basically looking due south at the Farallons. I thought those photos were quite hazy, but my husband (who hikes out there all the time) tells me oh, no – that day was very clear! I enlarged them as much as seemed reasonable; you may want to go to the gallery, where you can enlarge them to full size. They’re on the second page of photos. Go to the gallery anyway; there are some nice photos of the local rock formations, a deer I saw on the hillside, and the bones of a gray whale skull. Driving back was about like driving out, with very little traffic, until we reached Fairfax, and suddenly we were surrounded by shopping centers and neon lights. After all the sea views and windswept empty rolling hills, it was quite startling. But it was a lovely day; weather permitting, it’s well worth a day just to go out there and see the place. This entry was posted in Nature, Neighborhood and tagged Point Reyes.